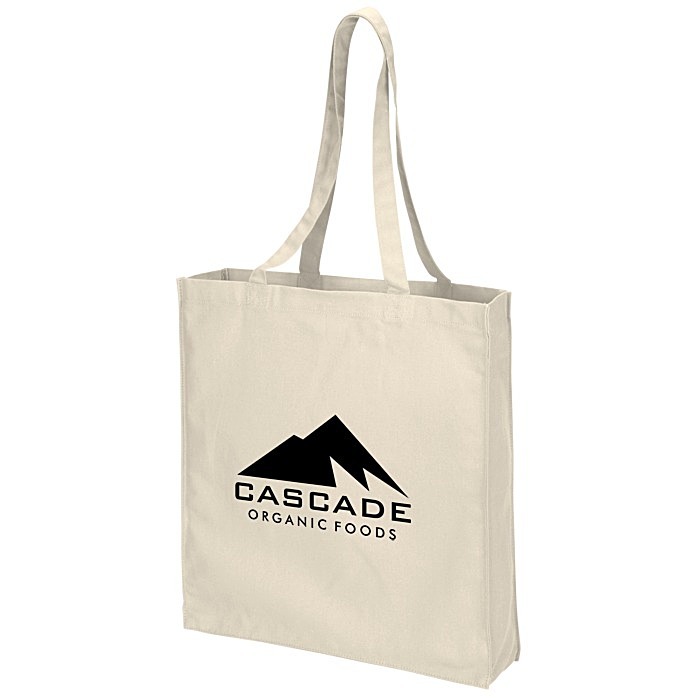 Promote your brand with this custom cotton tote! Totes are a must-have for conventions, orientations, expos, college students and more. Simple design features a large main compartment that can hold a variety of accessories. Pack beach towels, clothing, shoes, notebooks, folders and more inside this roomy tote. Carry using the dual 12-1/4" handles. Made of heavy-duty 8-oz cotton for extra durability and long-lasting use. Available in several classic colors to best match your business needs. Size: 14-3/4" x 16" x 3-1/4". 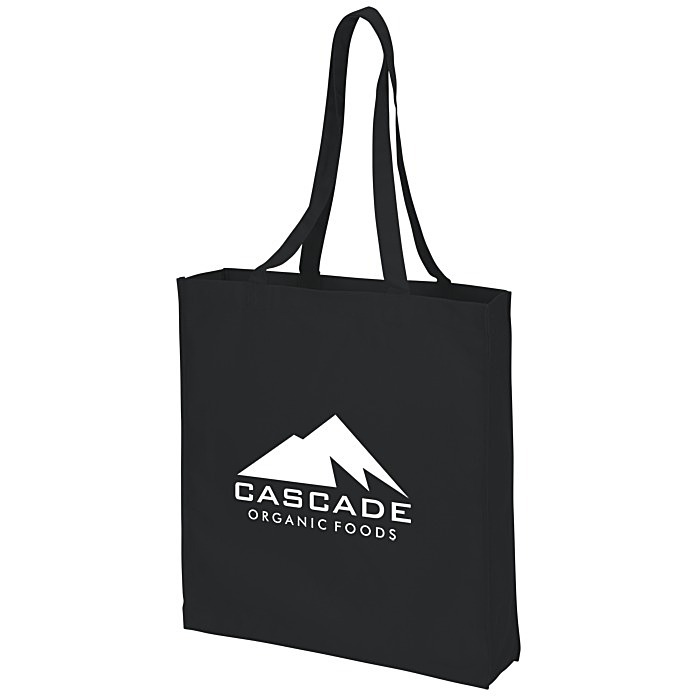 Your price includes a one color imprint on the front center of the tote.